USAA was named Best Overall Mobile Banking Leader in 2014 by Javelin Strategy & Research. In addition to the top honor, USAA earned first place in the accessibility and most comprehensive alerts categories, second in the functionality category and third in the app rating category. 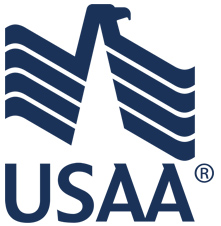 “USAA provides exceptional mobile banking across multiple platforms (devices, operating systems, browsers and text) and an outstanding range of cutting-edge features, including voice-based virtual assistance, in-app appointment scheduling and location-based offers,” said Mary Monahan, director of mobile, Javelin Strategy & Research. USAA received a score of 100 percent in the most comprehensive alerts category for offering superior tools that give members access to up-to-the-minute information about account changes and activity. USAA also received the highest score in the accessibility category, 94 percent, for its offerings on a variety of platforms, including SMS text messages, iOS®, AndroidTM, Windows® and Amazon®. This is the third time USAA received the best overall award from Javelin (2014, 2010 and 2009). USAA was recognized by Javelin in five categories in 2013. The USAA family of companies provides insurance, banking, investments, retirement products and advice to 10.6 million current and former members of the U.S. military and their families. Known for its legendary commitment to its members, USAA is consistently recognized for outstanding service, employee well-being and financial strength. USAA membership is open to all who are serving our nation in the U.S. military or have received a discharge type of Honorable – and their eligible family members. Founded in 1922, USAA is headquartered in San Antonio. For more information about USAA, follow us on Facebook or Twitter (@USAA), or visit usaa.com.